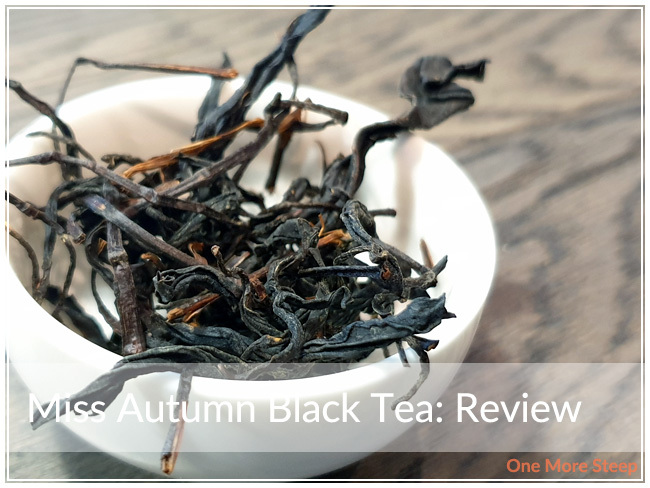 Annie’s Tea Treat has provided me with Miss Autumn Black Tea for the purposes of providing an honest review. 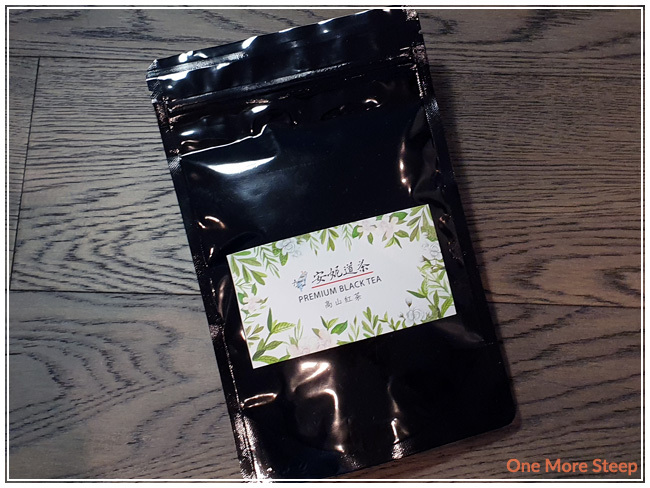 Miss Autumn Black Tea came to me in a resealable black foil pouch. Not a whole lot of information is on the packaging, but that was easily remedied by going onto the Annie’s Tea Treat website (and with a little help from Google Translate). The tea itself consists of some beautiful large, wiry leaves. The aroma of this black tea is a mix of plums and floral notes. These leaves were grown at a high altitude, in Nantou County of Taiwan. Miss Autumn Black Tea is a straight black tea. The aroma of the dry leaf is quite inviting because of the fruity notes. Annie’s Tea Treat recommends steeping Miss Autumn Black Tea in 100°C (212°F) water for 3-4 minutes. My initial step of Miss Autumn Black Tea was for 3 minutes with 5 teaspoons of leaves. 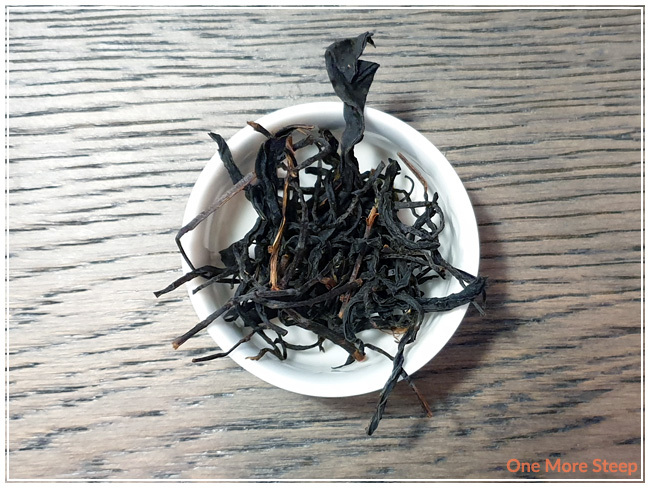 Miss Autumn Black Tea steeps to a dark golden orange, with a really fruity aroma to it. I mostly smell plums and some apple notes, with a hint of flowery goodness in the background. The taste of this straight black tea is more complex than I anticipated. 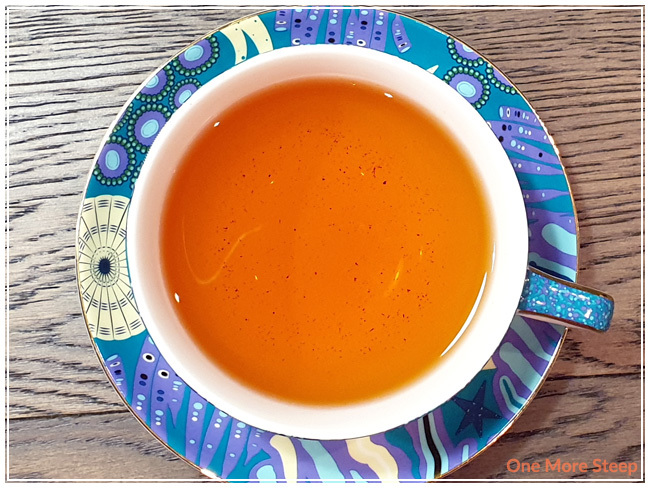 I get hints of plum, apple, and floral notes, as well as a honey sweetness that just plays very well with all of the flavours that I’m getting from this tea. I find that the honey notes linger at the end of each sip, which balances well with the initial burst of plum notes. I resteeped Miss Autumn Black Tea four times, adding an extra 30 seconds for each subsequent steep. I found that as I continued to steep these black tea leaves, the flavour became less sweet and more floral. The apple and plum notes stayed pretty consistent while the honey and floral flavours became to shift. Overall, the tea had a nice flavour balance to it and was tasty throughout. Due to the natural sweetness in the leaves, I didn’t find that the tea require any sweetener. That said, it is a black tea so I think it would take to the addition of sweetener quite easily. I loved Annie’s Tea Treat’s Miss Autumn Black Tea. I really enjoyed this tea from dry leaf to resteeping. The flavour profile was well balanced between fruity, floral, and honey notes. 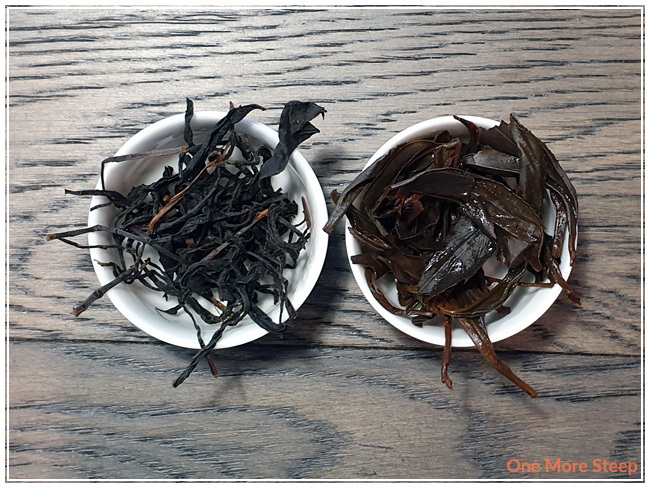 I think this is a great tea to try straight, so you can experience the subtle changes in flavour with each steep. I really enjoyed the plum and honey notes the most with each steep. I love those big full leaves! So pretty! It’s the Taiwan black tea leaf’s feature. We don’t cut tea leaf into small piece. Thanks for Michelle’s viewing.